Gerry Leisman, an Israeli neuroscientist educated in Europe and the United States in Medicine, Neuroscience, and Biomedical Engineering at Manchester University, additionally received a PhD in Neuroscience and Biomedical Engineering from Union University, in 1979. He is currently Full Professor and Research Fellow at the University of Haifa in Israel and concurrently Director of the National Institute for Brain and Rehabilitation Sciences, a global research institute with laboratories in the USA, Nazareth & Zevulun, Israel, and in Havana, Cuba. He holds a Full Professorship in Rehabilitation Sciences from Israel's Council of Higher Education (Malag). He is Professor of Restorative Neurology at the University of Medical Sciences in Havana, Cuba and Editor-in-Chief of the journal Functional Neurology, Rehabilitation, and Ergonomics. His scientific career has been largely involved in the promotion of consciousness as a scientifically tractable problem, and has been particularly influential in arguing that a fundamental understanding of consciousness can be approached using the modern tools of neurobiology and understood by mechanisms of theoretical physics, having, together with Dr. Paul Koch, developed biomedical applications of continuum theory. He has also been influential in examining mechanisms of self-organizing systems in the brain and nervous system applied to cognitive functions exemplified by his work in movement-cognitive interaction, memory, kinesiology, optimization, consciousness, death, autism, and developmental disabilities. He has likewise applied optimization strategies to movement and gait, cognition, and coma recovery. It is in this context that he was one of the first to identify functional disconnectivities in the brain and nervous system. He was elected Fellow of the Association for Psychological Science in 1990, a Senior Member of the Engineering in Medicine and Biology Society of IEEE in 1986, and a Life Fellow of the International Association of Functional Neurology and Rehabilitation in 2010, having received its Lifetime Achievement Award in 2011. He has served as a consultant to the US National Sciences Foundation. He is the co-author of the text, with Dr. Robert Melillo, on Neurodevelopmental Disorders from an Evolutionary Perspective and with Dr. Joav Merrick on Clinical Aspects of Consciousness, and on Neuroplasticity in Learning and Rehabilitation. He has published hundreds of papers in the Neurosciences, Cognitive Science, Biomedical Engineering, and in the Systems Sciences literature. 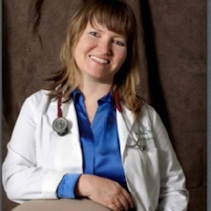 Nancy Ann Cotter MD is a graduate of McGill University, SUNY Buffalo School of Medicine, and Baylor College of Medicine. She is board- certified in Physical Medicine and Rehabilitation and Integrative Medicine and holds certifications in Medical Acupuncture, Functional Medicine and as a Clinical Nutrition Specialist (CNS). She serves as a National Clinical Champion for the VA Office of Patient Centered Care and Cultural Transformation, and as Clinical Director for the VA NJ Whole Health Flagship, part of the VA’s effort to transform health care. Dr Cotter has authored over 20 publications in Integrative Medicine and pursues research interests in the use of Integrative Medicine modalities in the conventional setting. She is an Assistant Clinical Professor of PMR at Rutgers/ New Jersey Medical School, and has been teaching acupuncture to other physicians for 15 years. Her programmatic expertise is in bringing Integrative Medicine to institutions and promoting the necessary culture change to embrace a health- oriented approach to medicine. Her clinical expertise is in helping patients with chronic conditions find balance and vitality in their lives by accessing and enhancing their own healing potential.